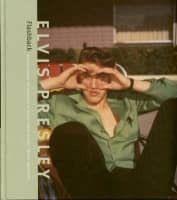 Almost all Elvis fans growing up in the 1960s and 1970s unwittingly listened to his 1950s catalogue in electronically reprocessed stereo. 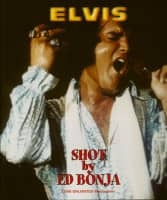 Whether loved or loathed, such releases were pretty much all there was on offer back then, unless one could afford to track down expensive, original mono copies of his earliest tracks. 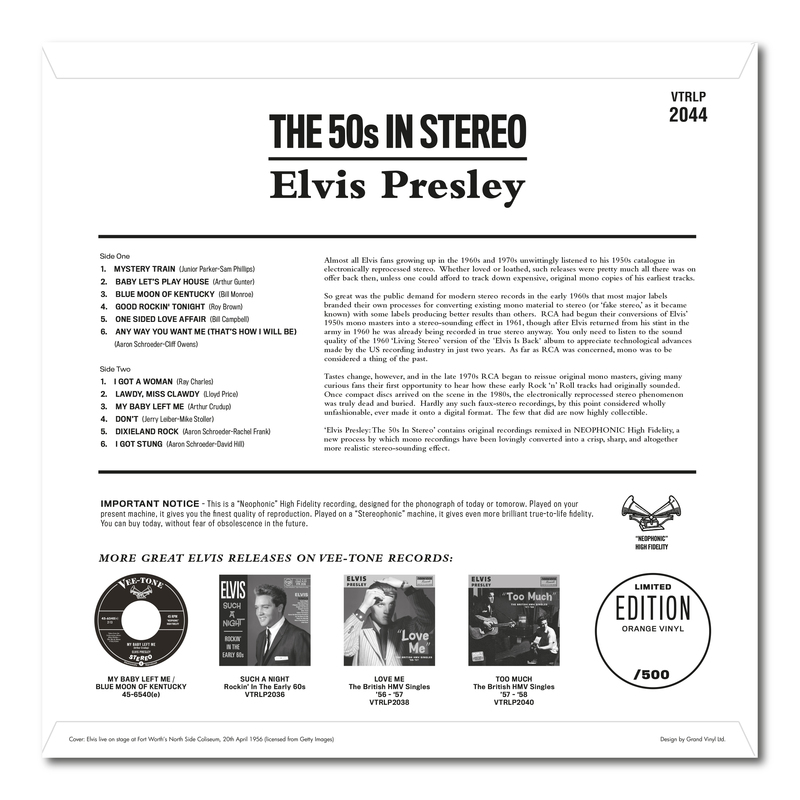 So great was the public demand for modern stereo records in the early 1960s that most major labels branded their own processes for converting existing mono material to stereo (or 'fake stereo,' as it became known) with some labels producing better results than others. 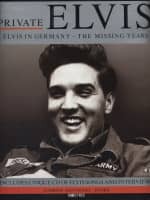 RCA had begun their conversions of Elvis' 1950s mono masters into a stereo-sounding effect in 1961, though after Elvis returned from his stint in the army in 1960 he was already being recorded in true stereo anyway. 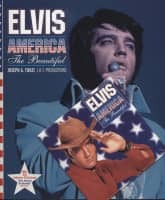 You only need to listen to the sound quality of the 1960 'Living Stereo' version of the 'Elvis Is Back' album to appreciate technological advances made by the US recording industry in just two years. As far as RCA was concerned, mono was to be considered a thing of the past. 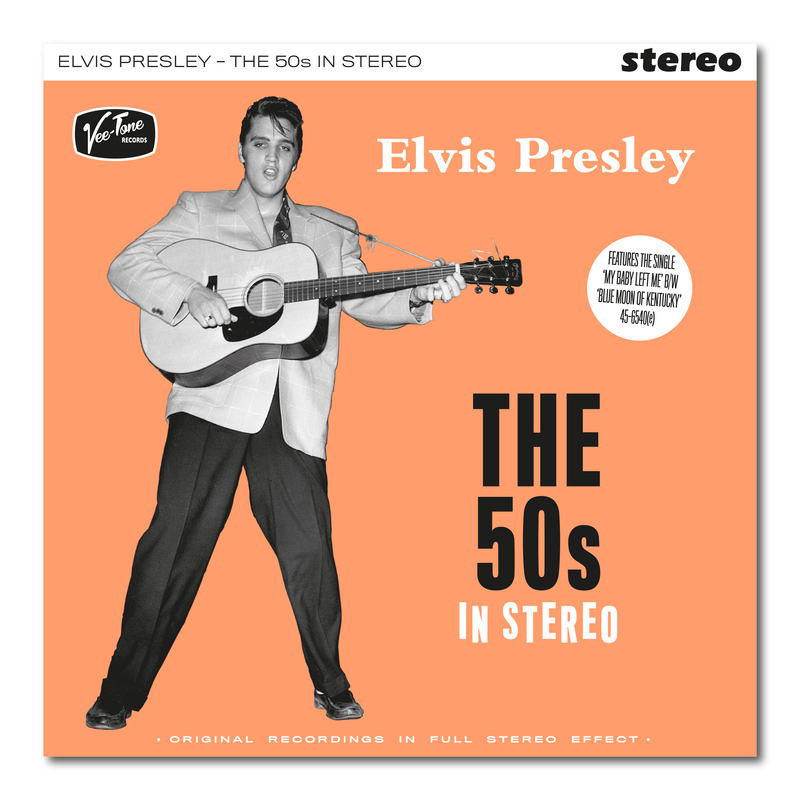 Tastes change, however, and in the late 1970s RCA began to reissue original mono masters, giving many curious fans their first opportunity to hear how these early Rock 'n' Roll tracks had originally sounded. Once compact discs arrived on the scene in the 1980s, the electronically reprocessed stereo phenomenon was truly dead and buried. Hardly any such faux-stereo recordings, by this point considered wholly unfashionable, ever made it onto a digital format. The few that did are now highly collectible. 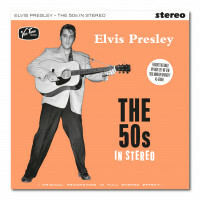 `Elvis Presley: The 50s In Stereo' contains original recordings remixed in NEOPHONIC High Fidelity, a new process by which mono recordings have been lovingly converted into a crisp, sharp, and altogether more realistic stereo-sounding effect. 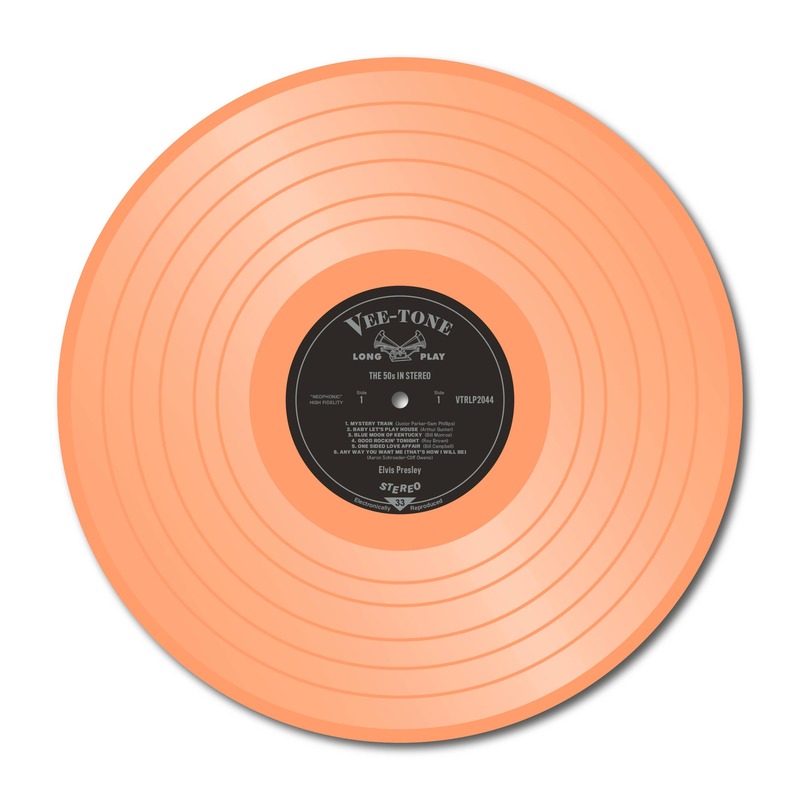 Customer evaluation for "The 50s In Stereo - Neophonic Stereo (LP, Orange Vinyl, Ltd.)"